High cholesterol, also known as hypercholesterolemia, is a dangerous condition of the body that puts patients at increased risk for heart disease. Cholesterol is available in each cell of the body and in some types of foods. Because cholesterol is needed for the body’s production of Vitamin D, hormones, and digestive enzymes, it must be present at proper levels for health reasons. Cholesterol is chemically similar to fat and looks like wax. It is found in the cell walls and membranes, in major organs (including the brain) and in all muscles (such as the heart). Unfortunately, when too much cholesterol exists in the body, it may create dangerous blockages, such as those in and around the heart. Although most patient believe they will experience symptoms when cholesterol is too high, this doesn’t happen. Elevated cholesterol levels don’t cause symptoms and are detectable only through blood work. Johns Creek Dermatology and Family Medicine recommends regular physical examinations that include blood tests to check cholesterol levels. Some symptoms of hypercholesterolemia may present after damage has already occurred to parts of the body. Some of these symptoms include heart attack, blood clots, stroke, or clogged arteries. Johns Creek Dermatology and Family Medicine recommends that all patients have cholesterol levels checked by age twenty in order to obtain a baseline level. Thereafter, a cholesterol level test should be performed at five-year intervals. Patients with higher risk factors should receive more frequent tests. According to Harvard University School of Medicine, familial hypercholesterolemia is a known risk factor for patients with a family history of higher than normal “bad” (LDL) cholesterol levels. High triglycerides, or circulating blood fats, may also be considered a factor in monitoring the patient’s total cholesterol lipid profile. Diabetic and obese individuals should be tested more frequently. 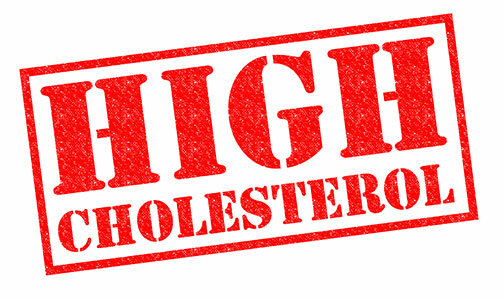 Smokers or persons with known high blood pressure should also have regular cholesterol tests. Researchers refer to cholesterol in two forms or types: HDL and LDL. LDL, or low-density lipoprotein, collects particles of cholesterol and carries them to the blood stream. Problems can occur when these LDL carriages adhere to vessels and arteries and form plaque, which hardens and limits blood flow. HDL, or high-density lipoprotein, gathers circulating cholesterol in the blood and carries it back to the liver for disposal. Higher HDL levels are considered healthy but too much LDL is considered a health risk. Estrogen, present in higher levels in the woman’s body, has been shown to increase HDL levels. Menopause causes estrogen and HDL levels to decline in the female body. As HDL declines, the female patient’s risk of cholesterol-implicated disease, such as heart attack, increases. Similarly, U.S. News & World Report reported studies that lower HDL levels are associated with the development of breast cancer in women. A Norwegian study showed that decrease in HDL levels after menopause placed women at twenty-five times’ greater risk of developing breast cancer than younger women with normal HDL. In some cases, an individual suffering with high cholesterol may exhibit discolored and disfiguring growths of the skin. Xanthelasma growths develop around the patient’s eyes and may be quite small to inches long. Xanthomas grow on hands, feet, elbows, buttocks, tendons, and joints. Because they grow in and on areas in constant use, they may cause extreme discomfort. Although scientists don’t completely understand what causes these growths, all patients presenting them have unsafe (high) levels of cholesterol in their bodies. According to the American Medical Association (AMA), hypercholesterolemia is typically first treated by the patient’s decision to adjust lifestyle factors. In other words, the patient takes control of controllable factors, or decisions he or she makes about diet, exercise, nicotine, and alcohol. A fiber-rich diet that features organic fresh fruits and vegetables, lean proteins, and limited amounts of fried, processed, or sugary foods must be adopted. The patient should also implement a regular exercise program and reduce weight if overweight or obese. Smokers should cease smoking. Those who drink alcohol should limit their consumption to modest limits as defined by the physician. Uncontrollable risk factors are qualities or conditions present that the patient cannot control. For instance, the patient can’t control his or her age, genetics, or gender. The Centers for Disease Control (CDC) also recommends managing and improving controllable factors. CDC’s position is that healthy diet is the most important and controllable factor in improving the patient’s total cholesterol factor. If the patient’s uncontrollable risk factors continue to keep unhealthy cholesterol factors too high, the doctor can prescribe cholesterol-reducing medicines to help the patient stay healthy. Cholesterol and lipid levels in the body are indicators of the patient’s total health. When the body’s lipid profile is too high, doctors understand the importance of lowering the total level and/or improving the patient’s HDL to LDL ratio. Johns Creek Dermatology and Family Medicine recommends regular patient examinations, which include routine blood work and chemistry tests. Patients in South Forsyth, North Fulton and Gwinnett counties, North Atlanta, Alpharetta, Roswell, Suwanee, Johns Creek and Dawsonville can experience great family-focused medical care. Call Dr. Zack Charkawi at 770-771-6591 to make an appointment today.